For a customer demo we setup a 2x2 SunRay Thinclient configuration, i.e. 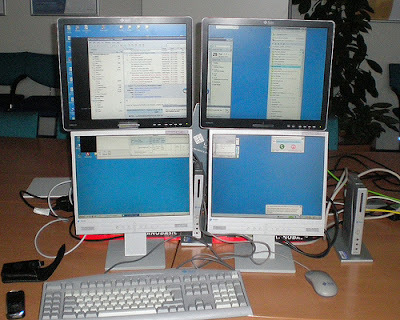 4 physical screens connected through 4 SunRay units but building one large logical screen. Then I RDP'd against my Windows XP laptop on my ThinkPad T43p.